Since I started my Holiday Declutter Streak, I have purged my home nearly 200 items. For those of you who follow me on Twitter, I have recorded my progress daily on Twitter with #HolidayDeclutterStreak. 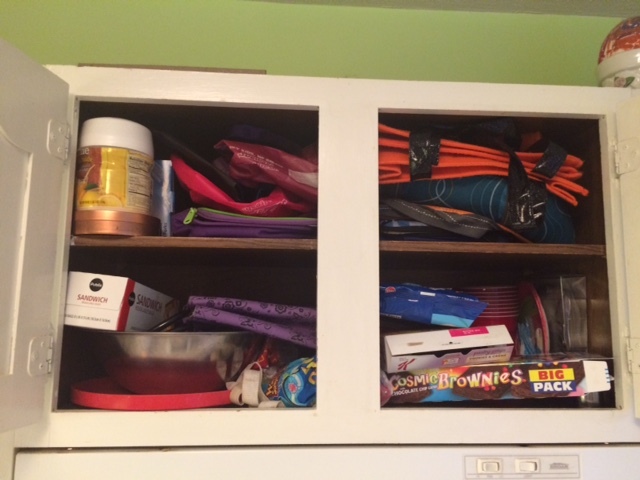 The first day, I decluttered the cabinet above the oven in our kitchen. I recycled or threw out 30 items. 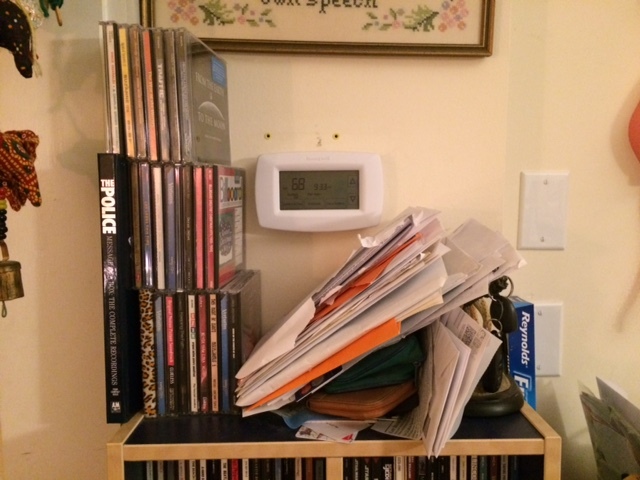 On day 2, I decluttered the area on top of our CD tower near the thermostat in the living room. It is a tiny area that had become a teetering pile of CD overflow and important documents. 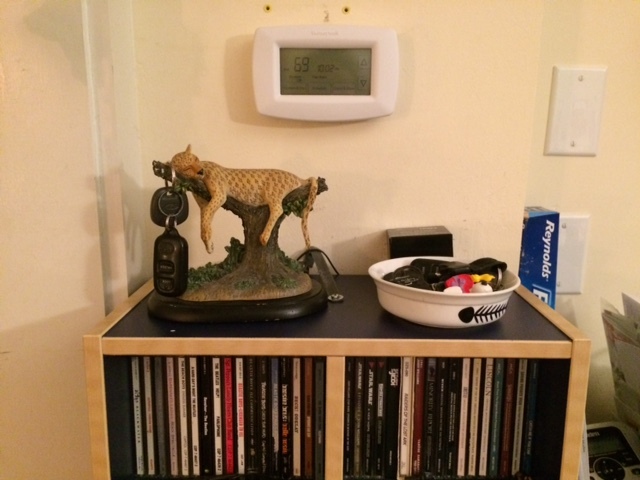 I threw out 30 items, mostly expired documents (old insurance cards, car registration from 2012, and the like), moved the CDs to another CD overflow location (I know, I know! ), and repurposed the entire area to just hold our keys (we have needed a spot of keys for a while). Now this area has a small bowl to hold keys and our sleeping cheetah figurine, which was buried beneath papers before. It’s also much easier to get to the thermostat now. 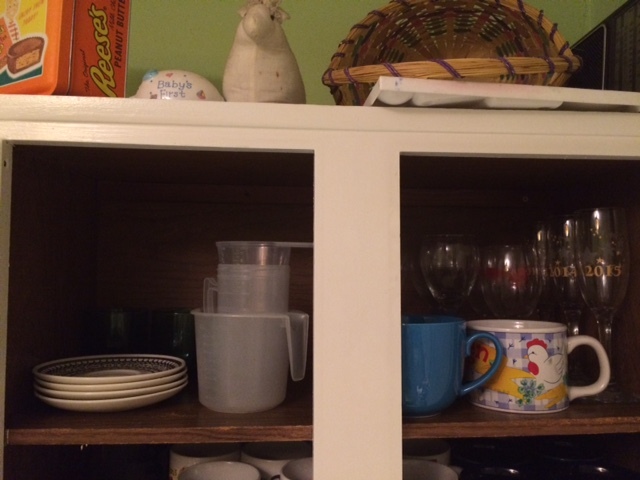 On day 3, I decluttered the upper shelf of one our cabinets that held an enormous number of unused coffee cups and wine glasses. 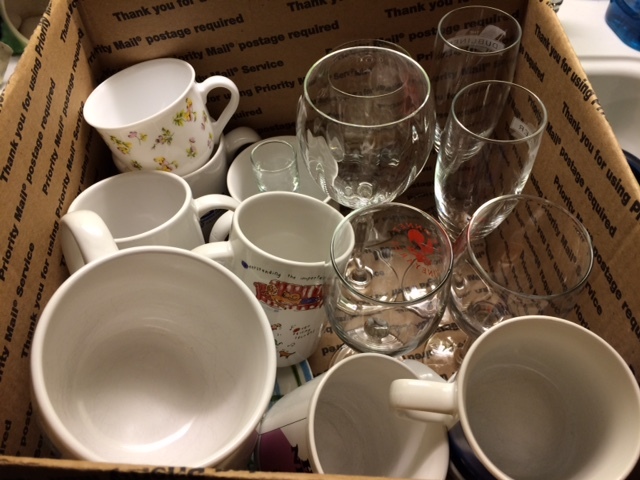 I washed and boxed up 21 items to place on Freecycle – coffee mugs, wine glasses, and a few random saucers – which I posted this morning. 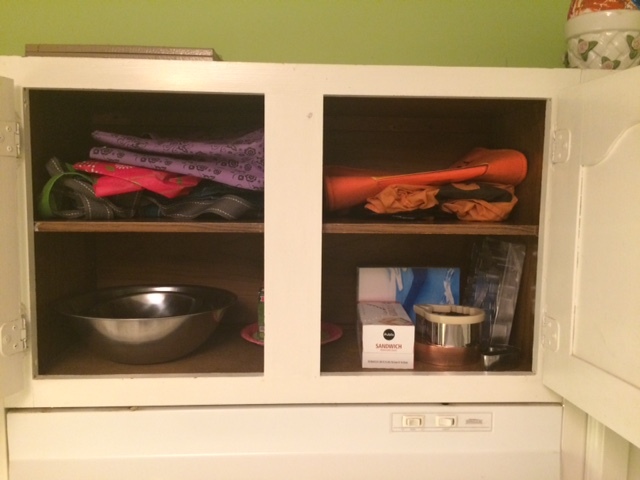 I forgot to take a BEFORE photo of the cabinet itself, but here is a BEFORE of the items that I removed from the cabinet. 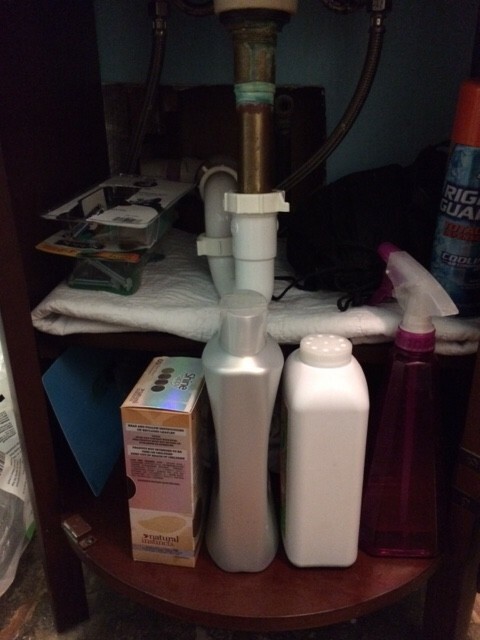 On day 4, I decluttered under our bathroom sink. We have a very small, cherry vanity, and I was astonished at the number of items that had been crammed into it. There were a lot of practically empty shampoo bottles, but also I found a stash of toiletries for camping which I had totally forgotten about it. I disposed of 20 items at least. I accidentally deleted the BEFORE photo, but here is the end result. 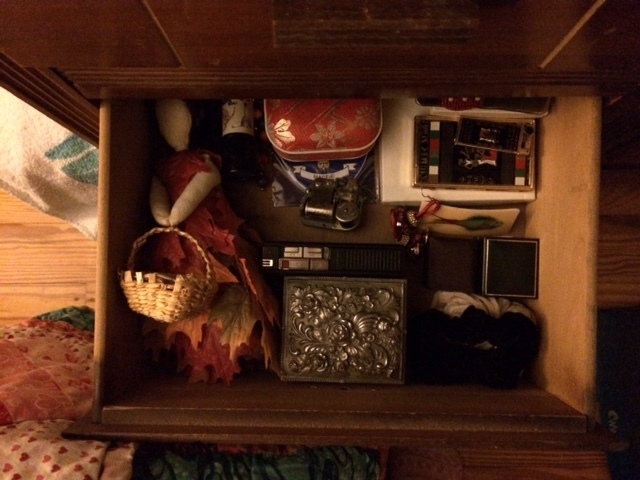 On day 5, I decluttered the lower drawer of my chiffarobe. For my non-Southern readers, a chiffarobe is kind of like an armoire. They typically have a full-height compartment on one side, usually with a mirrored door, where items can be hung or shelves installed. On the other side, there is an upper, square compartment, again with a mirrored door, and under, that four drawers. Some versions do not have the upper compartment, and have a shelf and mirror instead. These are usually called a “bachelor’s chiffarobe”. Chiffarobes were especially popular in the 1920s and 1930s. When my husband and I first bought our house, we found a pair of antique chiffarobes in an store here in the village. Mine is the classic style, and his is a bachelor’s style. They were originally in one of houses in the village, so we snapped them up and brought them home to our house. My dad touched up the finish, replaced the hardware, and did some minor repair work on them, and we have loved them and used them every since. 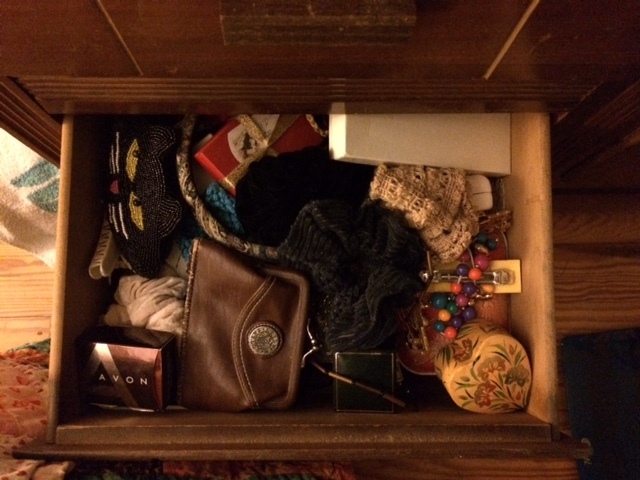 The lowest drawer of my chiffarobe had become a catchall for things that I just didn’t know what to do with. 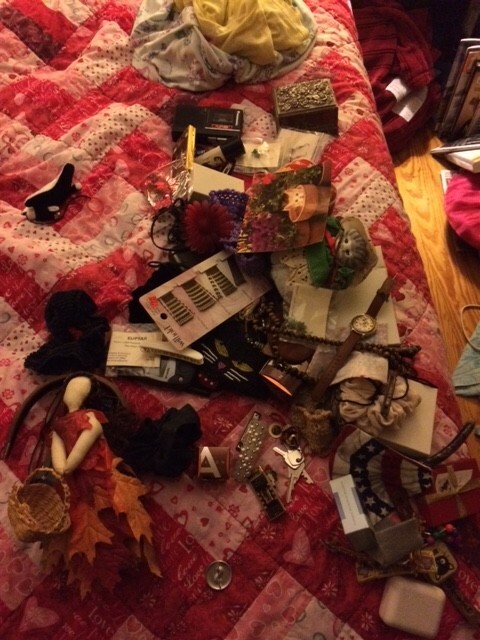 I pulled out all them items, and my daughter helped me sort through them. I threw out 15 items, donated 26 items, and my daughter claimed 11 items, mostly jewelry, for herself. 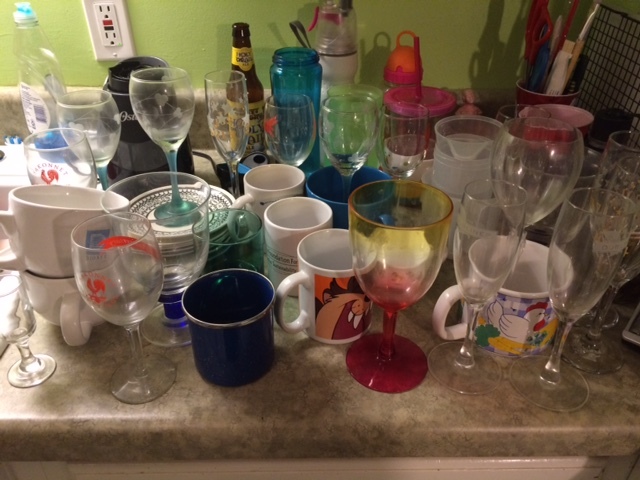 At the end of the decluttering, 41 items were removed from our home. 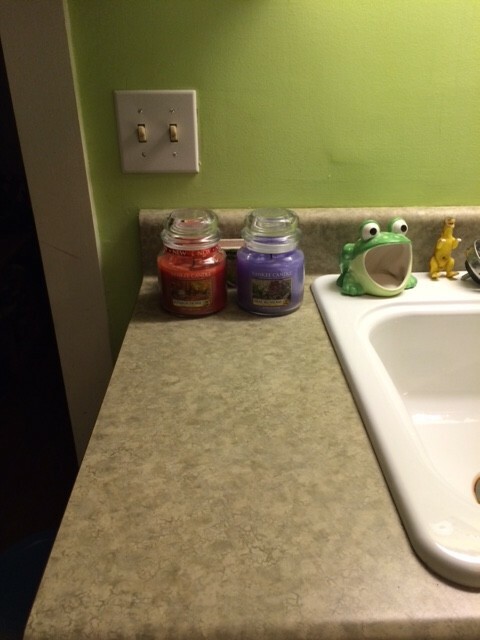 On day 6, I decluttered the end of the counter in our kitchen. It is a tiny sliver of counter top, just when you enter the kitchen. 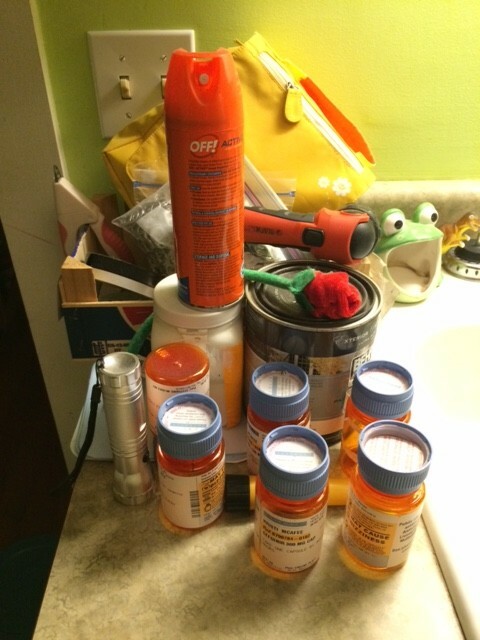 It had become a catchall of all kinds of things, including apparently, empty prescription bottles. 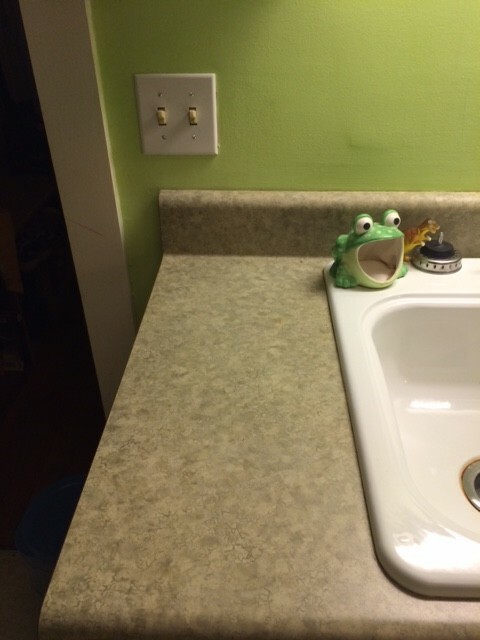 I removed 50 items from this tiny counter! There were multiple bags of pull tabs which we will take to the Ronald McDonald house, a few other items which I put away elsewhere, and a lot of junk that I just threw out. I removed the labels and recycled the prescription bottles. I decided that the space would be a nice place to put our candles and the box of matches. That way, they would be out of the way, yet easily accessible. I did not declutter on Day 7, as I needed to help my daughter finish up her Spanish assignments for the semester. Nor did I declutter on Day 8, as we took our kitty Simon to the vet for his check-up and arrived home too late to do anything but have dinner and go to bed. However, I will make up both of those missed decluttering events this weekend. For the reasons that I just mentioned, I also missed two days of RW Run Streak. I have been having problems with my lower back since I had pneumonia, so I have not decided if I will continue to run every day for the duration of this event. I will run today, since it is beautiful out, and tomorrow I am participating in the Global 5K event sponsored by RunKeeper. I hope I can continue with the RW Run Streak event, but I will just need to see how I feel. In other news, I have ordered the new contactor for our heat pump, which should arrive this week. We have set aside time next weekend to install it. In the meantime, our downstairs is “Ice Station Zebra”-cold every morning! There is still work to be done for The Great Coat Closet Remodel Project, which hopefully I will get to this weekend. And of course, there is always laundry and all the other little things that have to be done. And since the sun is shining, I can hang dry some stuff today, which as you know, I always enjoy!